Summer seems to linger later in South Texas. So before we say hello to the harvest season, we want to bid a final farewell to berry season with a strawberry cream pie. It is a light and luscious dessert with a pale pink shade that is perfect for all seasons and social occasions. 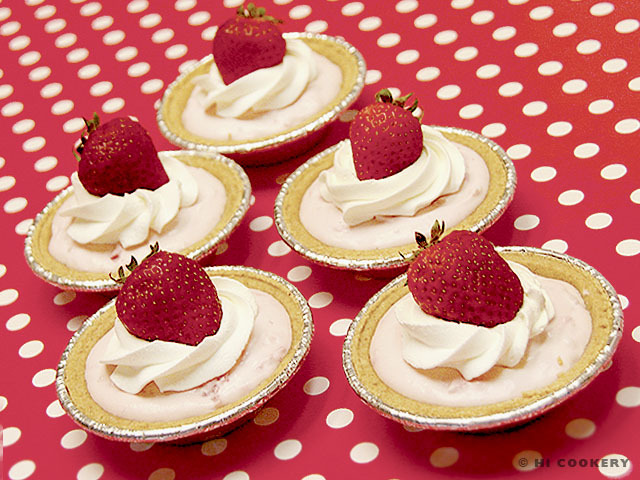 Following the tiny treats-trend, we turned a standard size strawberry cream pie into many minis! The individual desserts are delicious as sweet, small servings. Try the traditional-sized pie as tiny treats! They are terrific to observe the transition of summer to fall as well as to celebrate National Strawberry Cream Pie Day. 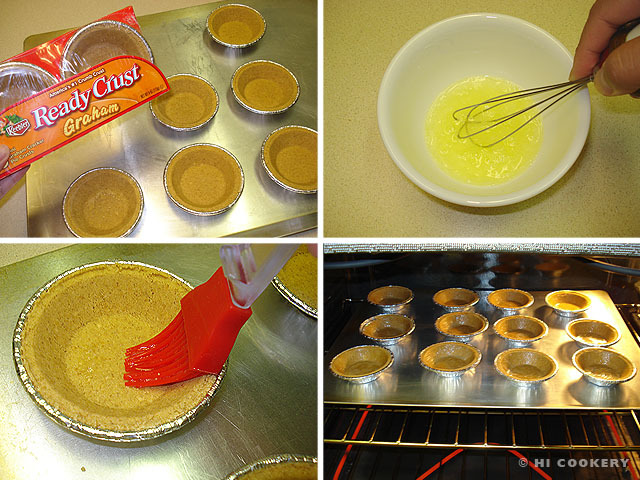 Beat the egg white and brush on the bottom and sides of the mini pie crusts. Bake in a preheated oven at 375 degrees for five minutes. Remove from the oven and cool completely. Wash the strawberries and dry with a paper towel. Cut into small pieces. Mash with a fork to yield one cup. Set aside. In a large bowl, blend the cream cheese with the sugar and vanilla. 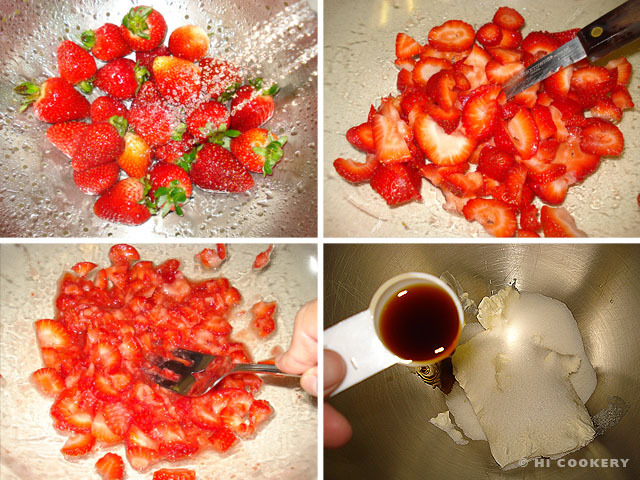 Fold in the mashed strawberries. In another bowl, beat the heavy whipping cream, gradually adding the powdered sugar, until stiff peaks form. 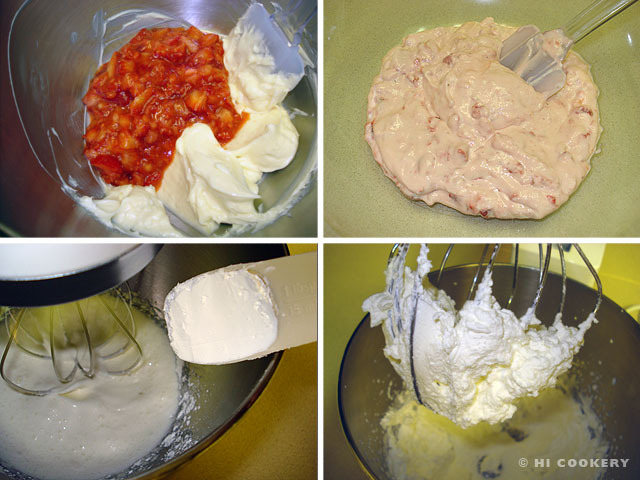 Fold this into the cream cheese-strawberry mixture, reserving ½ cup of cream for the top garnish. Scoop into the mini pie crusts. Refrigerate for several hours or overnight until firm and set. Pipe extra whipped cream into a swirl top. Garnish with a small, whole strawberry. Serve chilled. One 8-ounce tub of Cool Whip may be substituted for the sweetened whip cream. 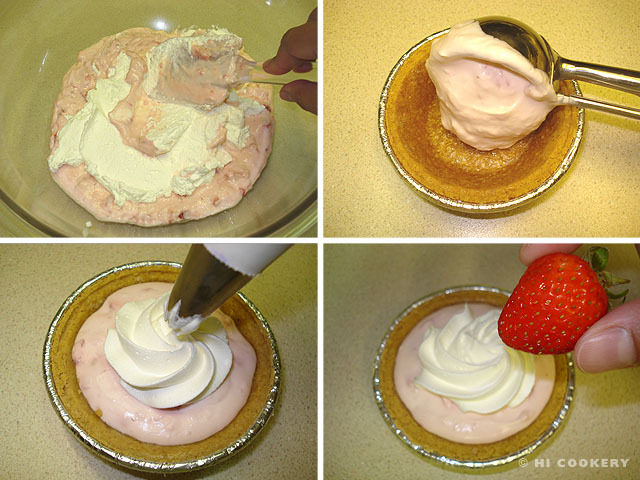 Make a standard size strawberry cream pie by cutting the filling recipe in half and spreading it into a pre-made crust. Search our blog for more pie and strawberries recipes.